It looks like the Nevada Athletic Commission (NAC) is finally hearing the public and its UFC fighters surrounding the benefits of medical cannabis. The Nevada Athletic Commission (NAC) is gaining headlines around the cannabis community for what could be a big step in the acceptance of medical cannabis. The NAC is in charge of governing most combat sports in the United States, most notably The UFC. 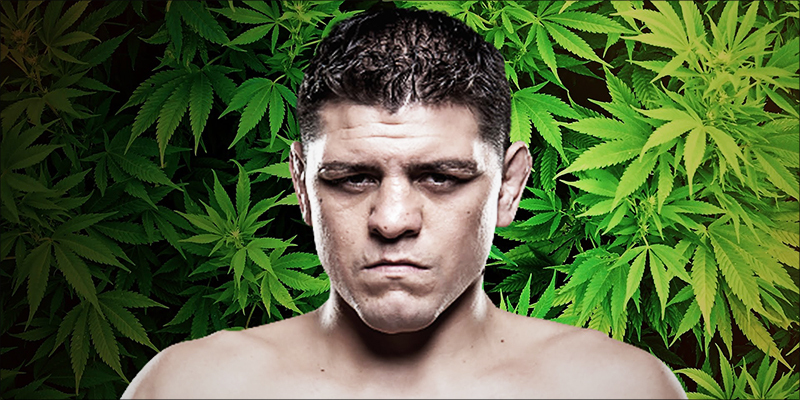 Remember that potential 5-year ban to Nick Diaz for using cannabis during his fighting career? It feels like just yesterday when the NAC received a huge amount of criticism for that decision. Well, it looks like the governing body is finally hearing the public and its fighters loud and clear surrounding the benefits of medical cannabis. TMZ Sports reported that the NAC could actually drop” cannabinoids” from its list of banned substances this Friday. With recreational cannabis now fully legal to anyone over 21 in the state, it became even more counter-productive to enforce the NAC’s rules. Many claim that even though the NAC has more strict enforcement of cannabis than on steroids, fighters would still use medicinal bud to help them heal. That’s also the weird thing about martial arts. A tremendous amount of UFC fighters smoke pot. I mean, a massive amount where it’s a huge issue with them involving drug tests, you know, where they have to stop smoking weed for the last four weeks or so in order to pass drug tests. Be it the huge amount of backlash from Diaz fans, or the recently changed policies in the state of Nevada, it looks like the NAC is finally caving in. Friday, January 20th looks to be the day that members of the NAC come to decide the fate of cannabinoid use in fighting leagues. Sources told TMZ that the public should be optimistic about the meeting, claiming that the future looks bright for medical cannabis in the UFC. We all remember this famous clip of Diaz using his vape pen to consume cannabis oil with high amounts of CBD, but why exactly was he using it? It turns out that high amounts of concentrated CBD oil has the potential to act as a neuroprotectant. With constant head trauma that UFC fighters withstand every fight, chronic conditions like CTE can be life ending if not dealt with properly. And if CBD can help protect the brain, then it should be legal to use for every contact sport, not only UFC.